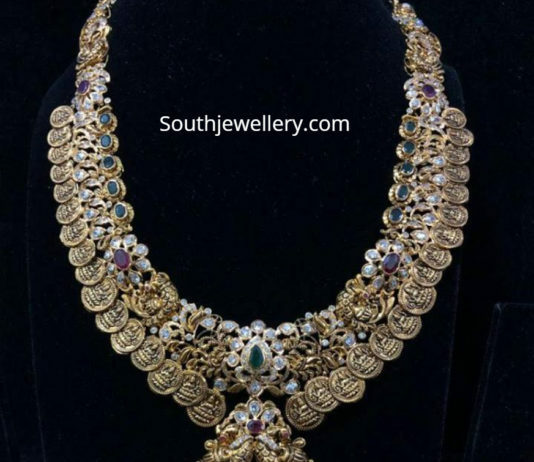 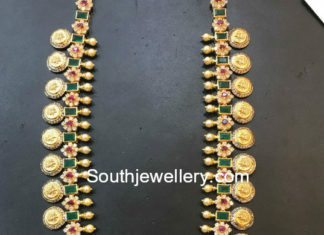 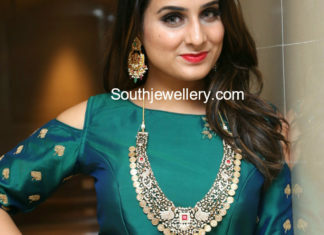 22 Carat gold antique peacock kasu necklace with pendant studded with rubies by Jewels India Antique Shoppee. 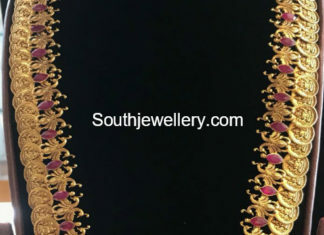 22 Carat gold antique Lakshmi kasu haram studded with cz stones and rubies. 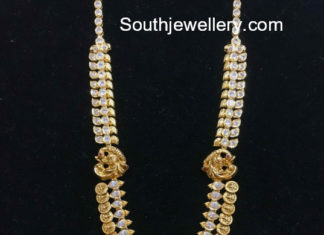 Peacock diamond Lakshmi kasulaperu haram, flat diamond peacock vaddanam and diamond bangles. 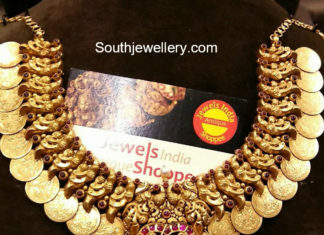 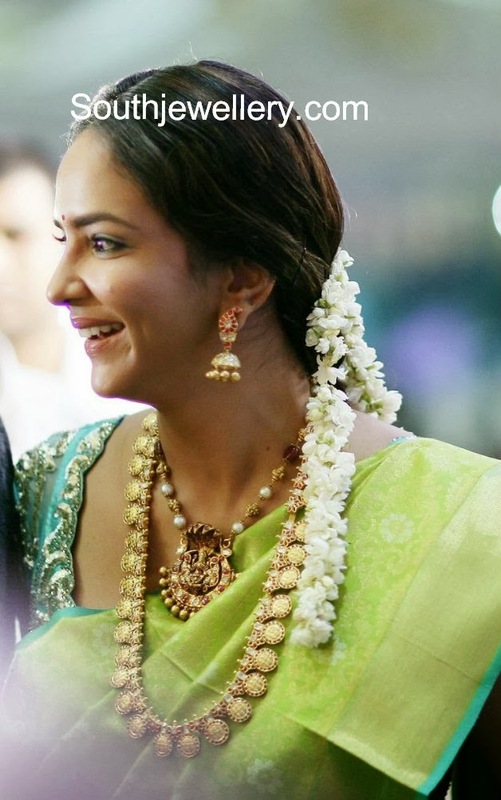 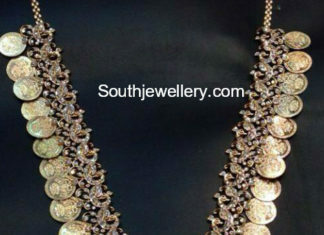 18 carat gold floral diamond choker and long peacock haram studded with diamonds and rubies by manepally Jewellers.